Attorney General Faris Al Rawi. 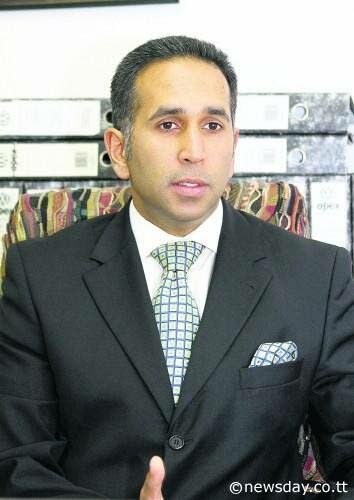 YESTERDAY’S riots in East Port of Spain prove the need for anti-gang legislation, Attorney General Faris Al-Rawi has said. “The crux of the matter is that this is a response from the neighbourhood relative to law enforcement activities,” the AG told Newsday in a telephone interview yesterday. Early yesterday morning, Akeil “Christmas” James was killed by police during an exercise, and residents responded by protesting, including blocking roads and dumping rubbish. The events also bear similarities to the Beetham riots in November, when residents blocked the highway and threw missiles at drivers after two alleged gang members were arrested by police executing a warrant. These incidents are multidimensional, Al-Rawi conceded, but he wanted to be “very certain to remind the population” that law enforcement must be given the space to operate, as well as be held accountable for their actions where necessary. More than anything, though, yesterday’s events should remind the population of a need for legislation to help law enforcement better manage such incidents. Last Friday, the Government and Opposition met to discuss the anti-gang legislation. While the Opposition was cautiously optimistic, they still made no decision on the sunset clause, nor a joint select committee. Al-Rawi had then called the discussion a dead end; yesterday he said he was appealing to the “reasonableness” of the Opposition to make a decision. He said the government has made a pitch for a sunset clause (when the bill would effectively expire) of three years; he also could not see the point of a JSC that would require national consultation, nor the Opposition’s request for statistics, which the government had already provided. “The population will be better served with legislation in existence,” he said. The bill, which had first been presented by the then People’s Partnership government in 2011, was up for renewal in December, and failed when the entire Opposition bench voted against it, ostensibly because they did not agree with the government’s inability to compromise on a sunset clause. A bill can only be re-introduced to Parliament after six months, unless it gets a special waiver. Reply to "Al-Rawi: East PoS riots prove need for anti-gang legislation"